Put a little spark and luster back into your popcorn machine! 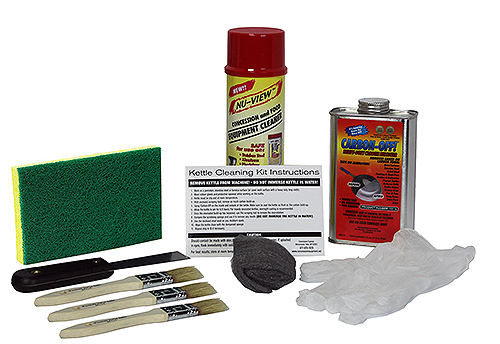 Complete popcorn machine cleaning kit includes enough supplies necessary to make a popcorn machine look good. Make the windows and outside shine with the popcorn machine glass cleaner. Does the kettle have a lot of carbon build up? No problem, from easy-to-use kettle cleaning pucks to carbon off cleaner, there is no need to purchase additional items. Why not get started today.